Going Vintage by Lindsey Leavitt. Bloomsbury, 2013. Currently Available. Face Value: This is a totally acceptable cover for contemporary YA fiction. The cover model looks appropriately vintage and the photo background hints at the unusual vintage twist of the story. The pink and green are eye-catching colors, but they do make this cover scream “teenage girl” in a way that wasn’t necessary. This book could have had a cool, contemporary cover that looked very adult. Does it break the slate? Yes, there is definite Slatebreaking happening in this book. I wasn’t sure if it would get to that point, but I was pleasantly surprised by Mallory’s growth as a Slatebreaking character. She also has a younger sister who is a Slatebreaker. It was a treat to read conversations where the younger sister was challenging her older sibling to be more independent and assertive. Who would we give it to? Girls who have been burned in bad high school romances could find Mallory to be an inspiring character. She rises above a messy breakup to become more defined and confident as an individual. Review: I just love pleasant surprises. I have to be honest – when I first sat down with this book, I wasn’t sure if it would ever capture my interest or feature any Slatebreaking characters. I never should have doubted. Leavitt is a gifted author, with a knack for humor and witty dialogue. She has created female characters with quirks, charms, and flaws that make them completely lovable. The premise of Going Vintage is that Mallory, our heroine, accidentally discovers that her long time boyfriend has been simultaneously carrying on a relationship with a girl online. This results in a nasty and public breakup that plays out on social media. Dismayed with the vulnerability of having her personal life exposed online, Mallory completely withdraws from technology. This is also inspired by memorabilia belonging to her grandmother. As Mallory digs through her grandmother’s old things, she finds a list written in 1962. This list summarizes all of the things her grandmother wanted to accomplish in her junior year. 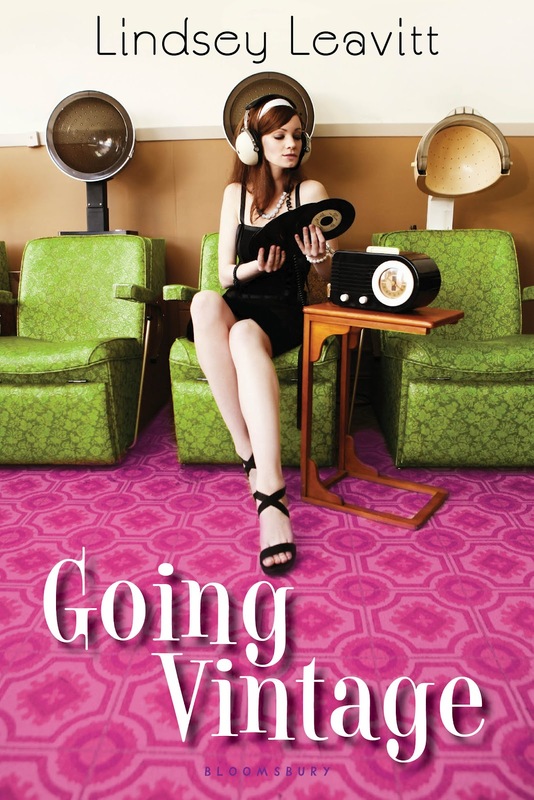 Mallory makes it her mission to complete her grandmother’s list – all while living as if she’s in 1962. Mallory’s temporary time travel means that she can’t use the basic things she is used to everyday. Her retreat from technology brings some unexpected challenges. She can’t use the internet to write a school report and has to go about research the old-fashioned way: with a pile of books. She’s also starting a pep club, which was one of the big tasks on her grandmother’s list. Mallory doesn’t have much school spirit, but she still forms the club. It’s through this new club that she learns a little more about herself…and meets a new and interesting boy. Leavitt also did a remarkable job of not glorifying the vintage way of living. Mallory found plenty objectionable about the 1960s lifestyle. Her sister Ginny also addressed the sexism and rigid gender roles of the era, challenging Mallory for glorifying a time when women simply did not have as many opportunities. Ginny can see that Mallory is being foolish, but she supports her sister in her quest to complete the list anyway. She’s a Slatebreaker and an admirable sister, too. This book balanced nostalgia with reality, and in such a perfect. We see so much vintage fashion on style blogs now, and that’s great. Those women look amazing. But we’re celebrating a problematic time. We certainly have not conquered the challenges of gender role inequality or the objectification of women, but they’re discussed more often. I am impressed by Leavitt’s ability to write a sweet and engaging YA romance while vetting these issues through believable character dialogue. This entry was posted in Reviews, Young Adult and tagged 1960s, nostalgia, Romance, vintage. Bookmark the permalink.